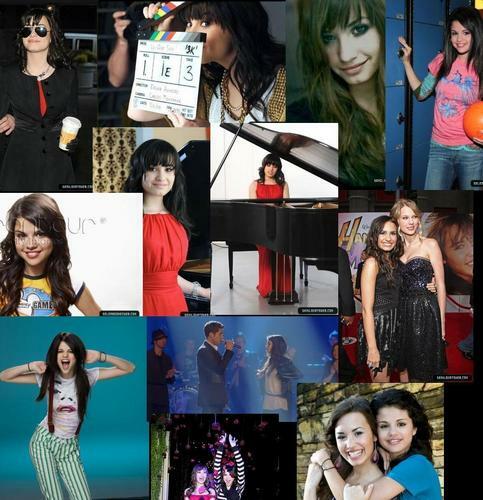 Demi and Selena fan art. . HD Wallpaper and background images in the selena gomez dan demi lovato club. this was the funest to make!!!!! !